The customer was very particular about the quality and the finish of the pool. They wanted a pool that the family could use for most of the year round but could be outdoors in the Summer. 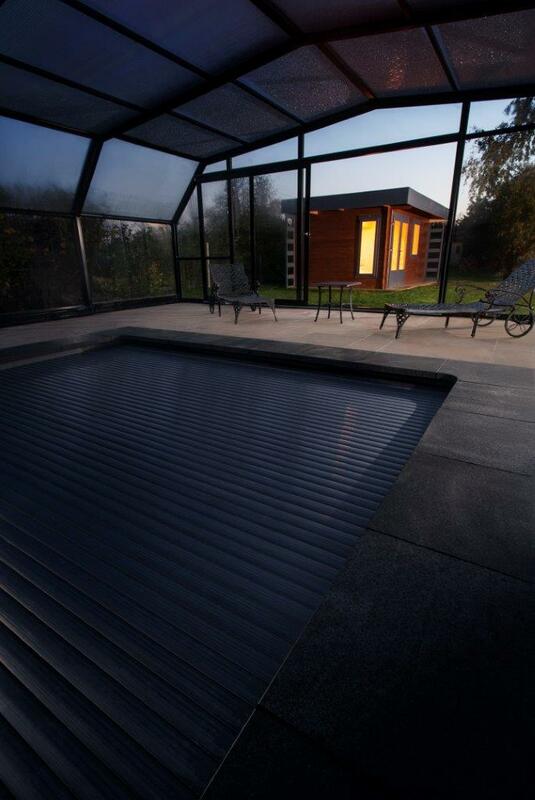 The pool was installed with a heat pump that was able to run well into the colder months. We also installed a Summit Leisure pool enclosure that could simply roll back in the warmer months. The access to the site was difficult as the property is on a busy agricultural road in the middle of harvest season! This was overcome by delivering the pool shell in the evening and setting up a clear diversion for other traffic. The pool can be enclosed or fully open within a matter of minutes and can remain in use all year. It really shows off the versatility of a pool in the UK and gives the family a year round pleasure.